Finally arrived today, very pretty lil ring an I love the lil box it came in.. It did take almost a month to arrive, if it wasn’t for that I’d give it 5 stars.. This is one of my favorite pieces of jewelry. It reminds me of the ocean, which is my favorite place and goes with every outfit! Wow, that's gorgeous. That's what I hear most when I wear this ring. The colors don't do the picture online justice. Bought this for the wife as a little something extra for Valentine's Day. 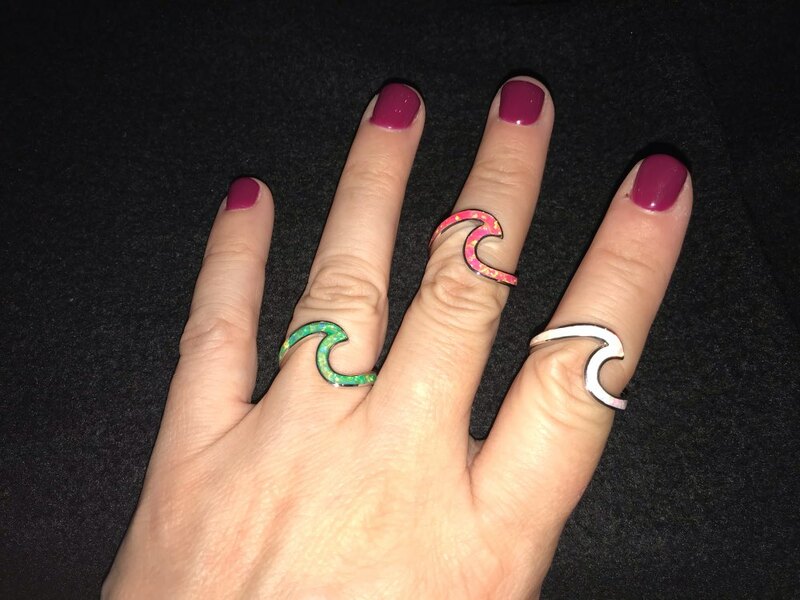 Way cheaper than the exact same ring on Etsy. She loves it and it is even prettier in person. Very nice ring and it is made well and the shank is thick and made of silver. Very happy with the quality. Will be reordering.